Automate incident management of your IT services when a metric alert is triggered with our custom generic Webhooks-based integration. 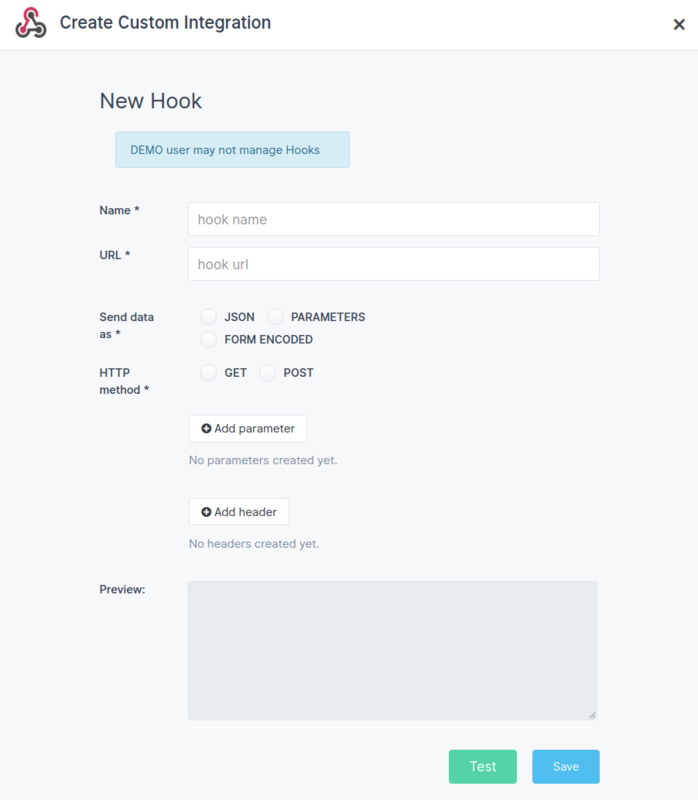 Sematext has threshold, anomaly and / or heartbeat Alerts integration with custom webhooks used to trigger a POST request to the URL you set in JSON format. Webhooks are real-time notifications that send you a specially formatted message whenever an alert occurs in your applications. Using this approach, whenever problem in your environment that affects real users is detected, a webhook triggers an HTTP POST request to a target URL that you specify. The payload message of the HTTP POST request is completely customizable, as long as it represents valid JSON syntax. Navigate to Sematext Navigation Hooks and select Custom Webhooks card to create a new notification hook. Enter required parameters and additional parameters and headers can be added as well. Click Test button to confirm that Sematext app is sending data and save your custom webhook integration. Done. 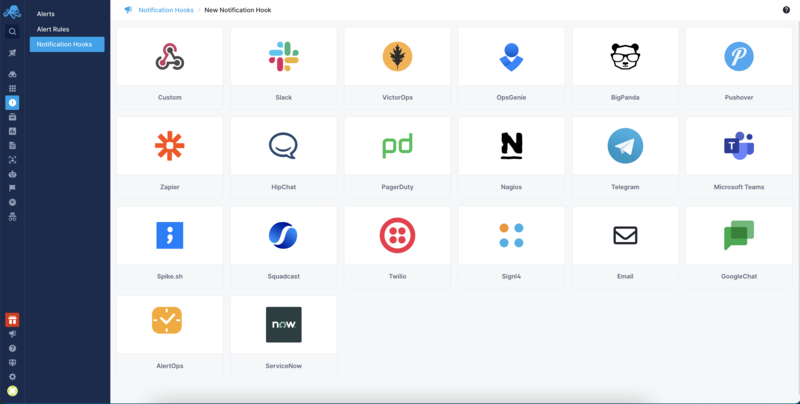 Use as many generic Webhooks-based integration as you wish, and there are numerous other third party integrations services like HipChat, Slack, Zapier, Flowdock, and more available as well. Check Integrations pages for more details.